KonMari method about cleaning and decluttering the mess in your house suggested that you have to make sure that all objects and things in your home should spark some joy when you see it. Most of us don’t realize this but if you look into your things and stuffs inside your house you’ll notice that it’s mostly junk. Things that just takes up space but does not spark any joy when you see it. 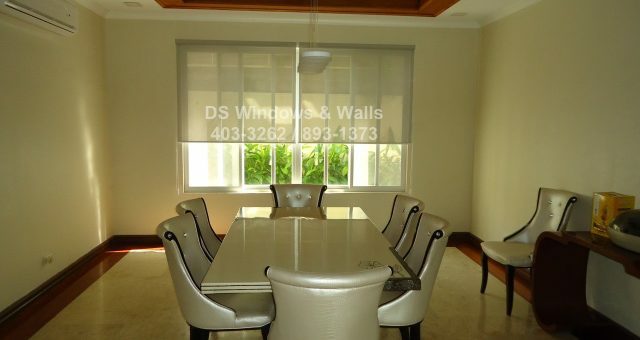 In this featured customer of ours from an exclusive subdivision in Makati city you’ll see how the owner managed to create a spacious dining and living area that looks clean and organized. 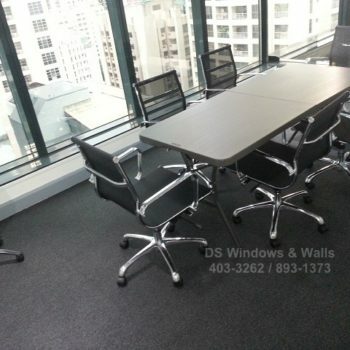 In interior designing lingo you may be able to tell that this is a minimalist inspired design and arrangement. The dining area only have the furniture that it needs i.e. the dining table is both functional and yet fabulous. To create more space the owner also chose a simple and pragmatic roller blinds over other sophisticated looking window covering such as draperies. But not any fabric as they purchased Pioneer T3503 gray that has a 5% openness to be able to see the through the outside and creates an illusion of more space. A minimalist living room with simple yet functional roller shades. In their living room you can easily tell that it is not cramped and the furniture and things in it are only the essentials. A flat TV screen, a vase in the corner, and a sofa set. 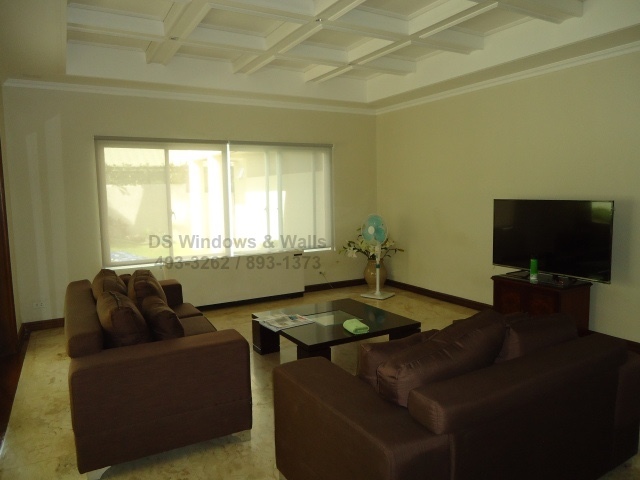 You’ll also notice that there are no sight of any big cabinets or hanging photos or decorative paintings on the wall. There are also efforts made to conceal the wiring and cables of the TV set. Of course, let’s not forget that a sunscreen fabric of roller shades are chosen for this type of minimalist interior design. This living room and dining area interior design is achievable in most homes if you just try to focus on creating space and resist putting unneeded decorative objects that is sometimes counter-productive when you’re trying to enjoy the space of your home. No unnecessary mess and cluttered objects means a more peaceful home. 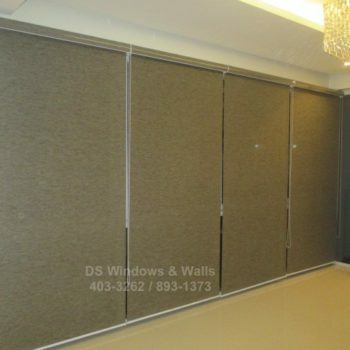 For your window blinds needs, carpeting, wallpapers, and folding doors please do not hesitate to visit our mall stores or call us at (02) 403-3262, (02) 893-1373, (02) 668-9668 or email us at inquiry@dswindows.com for free measurement and installation.